Last year’s election highlighted the deep and bitter political divide among Kenyans, divisions usually rooted in tribal identity politics. However, if one were to ask Kenyans what they want for the country, one would likely find similar answers across the political divide. We want good schools and hospitals, decent jobs, respectable roads, security, shelter, an end to corruption and freedom from hunger and poverty. And since Kenyan politics is renowned for not being rooted in ideology, it is possible that individuals from opposite sides of the political divide could have similar views on how the government can better provide services and stimulate economic development. It is only in Kenya that two people may have identical ideologies of how they want the country to run, but then vote for different candidates due to tribal identity. This conundrum is one that can be tapped into in order to unite Kenyans. The fact that Kenyans share concerns across political divides ought to be leveraged to bring the country together. Rather than focusing on the politics of identity, Kenyans ought to focus on the politics of issues such that both the ruling party and opposition engage Kenyans on how they will or would improve the socio-economic status of Kenyans. Kenyans could unite and, as a people, make the same demands regardless of which political party is in power. Further, the fact that Kenyans may well share ideologies on socio-economic development could be used to tackle another monster in the closet—the class divide. Just under half of Kenyans live at or below the poverty line, and the bulk of the rest live day to day or pay cheque to pay cheque. This means that there are those on opposite ends of the political divide who have similar incomes, standards of living and daily struggles. Those who would likely relate more to fellow Kenyans who face similar issues but are of a different political leaning than those of another class but with whom they are aligned tribally. It is important that Kenyans unite around addressing the class divide in Kenya rather than letting politicians use the class divide as a tribal motivator as to why Kenyans should vote for them. Finally, Kenya can use economics to unite the country; the economics that builds incomes, creates jobs and delivers high quality government services. Kenyans ought to find those with whom they share ideologies on economic development and create fora that discuss shared concerns, no matter one’s political affiliation. In using economic development as a starting point, Kenyans will find that they have more in common with their sworn political enemies than perhaps they thought. This entry was posted in Development economics, Economics, Kenya, Political Economy, Politics and tagged tribalism. As 2017 starts it is important to take note of key dynamics that will define the year in Kenya. Most of the dynamics will be related to the elections at both national and county levels. There are several issues married to this concern the first of which is political and civil stability. There are already signs that the race for office at both national and county levels will be intense with potential for unrest. It is important that all aspirants as well a security minimise any instability that may emerge from the elections to limit its potentially negative effects on the economy. Kenya’s election year tends to be associated with lower economic growth. It is time to break away from this by securing stability regardless of whether it is an election year or not. This can only be achieved if aspirants from both sides of the political divide are responsible in their speech and actions and are all committed to well governed elections. Secondly, there has been and will continue to be an intensification of tribalism associated with the elections. The problem with tribalism is not only that is it morally abhorrent, it is foolish. The folly of tribalism related to electing leaders is that is engenders a culture of unaccountability in leaders. Regardless of how the leaders of the ruling or oppositions parties behave and perform, they are guaranteed that Kenyans will vote for them depending on tribal bent. Thus leaders do not need to meet promises made, develop the country or be accountable because they know when elections come around, none of the aforementioned will affect their vote; only tribe will. Thus it is wonder that Kenyans complain about poor leadership yet it is the obsession with tribe in this country that feeds that culture of unaccountability in leadership. This year Kenyans should start the process of ending the culture of tribalism by demanding ideological positions from aspirants on how they will rule at national and county levels. Another big dynamic will be fiscal policy and management. With regards to fiscal policy, the budget will be read in the middle of the year at the height of electioneering. It is important that Kenyans pay attention to fiscal policy to understand the financial plan for the country going forward. This is important as there may be a change of guard before the end of the fiscal year either at the political or technocratic level. Secondly, election year is a good time for Kenyans to ask hard questions on the management of public budgets. The issue of fiscal management or the lack thereof has beleaguered Kenya for the past five years both at national and county levels. The allegations of graft at national level have been well publicised yet those at county level are essentially ignored. This is a dangerous dualistic mind-set as continued graft at county level poses a clear and present danger to the ability of devolution to deliver on development. Counties in both ruling party and opposition dockets are culpable; this is a non-partisan issue. Therefore this year Kenyans should demand, at both national and county level, clear strategy by all aspirants on how they will address this issue of fiscal mismanagement. This should be coupled with an expectation from aspirants to devise prudent fiscal policy at national and county level. The final big issue is the development agenda for the next five years; what theme will define the next era of rule? It is clear that over the past five years, infrastructure has been a key theme for the government. Will this be continued for the next five years? My view is that there should now be a shift from infrastructure to manufacturing and green industrialisation. The share of manufacturing in GDP in Kenya has been stagnant for decades. As a result, Kenyans have not fully benefitted from the related job creation, rise in disposable income and penetration of Kenyan products in the African market. The time is now for the next administration to develop a clear strategy and plan for manufacturing and green industrialisation as the theme that will define the next five years. This entry was posted in Africa, Development economics, Economics, frontier markets, Kenya, Political Economy, Politics and tagged elections, fiscal policy, green industrialisation, manufacturing, tribalism. In his book The End of the Free Market, Ian Bremmer makes the point that “in emerging markets, political factors still matter— at least as much as economic fundamentals for the performance of markets.”Certain retrogressive practices if left unchanged can harm economic growth by dampening development prospects.The first political factor is tribalism. As a result of divisive ethnic-based politics, the economy continues to suffer consequences of negative ethnicity.The costs of tribalism are numerous. For example, it leads to sub-optimal allocation in public sector appointments. Because the President is now expected to factor in tribes during decision-making, he does not have the luxury of choosing the best person for the job. Instead he appoints individuals who would be accepted with the least acrimony.This is not to suggest the appointees are incompetent but rather to illustrate how tribal lens affect capacity to ensure the best always manage agencies.Recently it was revealed three tribes hold at least half of all public sector jobs, with some overrepresented compared to their total population.Whether this over representation was deliberate is an issue that disturbs many Kenyans. So strong is tribalism that the Public Service Commission chair said ethnicity is an appointment criterion to ensure all tribes need to be represented fairly.Political and public sectors are at a point where tribe trumps demonstrable skills, professionalism or competence.How can a government run efficiently if tribe rather than aptitude is a key qualification to manage the ministries, Central Bank, parastatals and other agencies that inform growth? 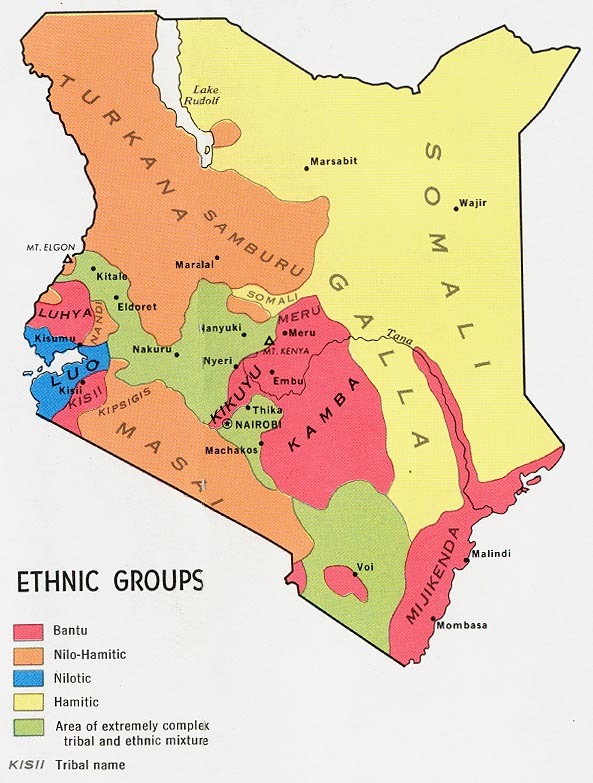 Another issue closely linked to ethnicity can be seen in how individuals decide whether to invest in certain regions while shunning others.During the post-election violence in 2008, many flourishing businesses were shut down as owners fled hostile regions.The losses are still being felt by the economy because some entrepreneurs are yet to return. Such tensions have economic costs because ethnicity rather than economic viability informs location. The second political factor is corruption. 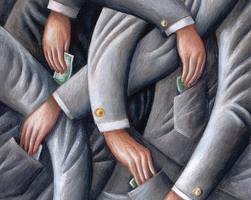 The public sector is rife with corruption, brunting the capacity of capital to be employed efficiently to spur growth and development.Transparency International ranks Kenya 136 out of 175 in public sector corruption. Graft is costly as it affects resource allocation in two ways.Firstly, it can change private investors’ assessment of the relative merits of various investments as graft informs changes in comparable prices of goods and services, resources and factors of production.The International Monetary Fund believes if bribery comes into play in enterprise, this lowers investment and retards growth. Ernst and Young reported a third of companies it surveyed paid bribes to win contracts and half of Kenyan CEOs justified the practice.How can resources be allocated efficiently with such shadowy activity? Secondly, an economic journal shows corruption misallocates resources through decisions on how public funds are invested, or choice of private investments allowed by corrupt agencies.Misallocation comes from possibility of a corrupt decision-maker considering rent-seeking as a key decider.Corruption leads to reduced domestic and foreign direct investment, overblown government expenditure as well as diverting state expenditure away from education, health, and infrastructure towards white elephants. The third political factor is the public wage bill reportedly now at 53 per cent of the budget, using up 55 per cent of public revenue.This is likely to remain for decades as there is no political will to effect change. Thus, instead of allocating resources to investment or development, we will be busy funding a public sector yet to shun corruption or embrace a culture of efficiency.These political factors cost the economy dearly and their impact must be addressed. This entry was posted in Africa, Development economics, Kenya, Political Economy, Politics and tagged corruption, Kenya, Politics, public expenditure, tribalism.